Taeja has claimed first place at the weekend at the MLG Summer Arena II – the first champion title in his Starcraft II career. Team Liquid’s Korean Terran breezed through the tournament, putting the brakes on Alicia’s second attempt this year to reach for Gold in the tournament final. Taeja’s dream run saw him take out an almost exclusively Korean lineup – Dream 2 – 1, Welmu 2 – 0, Ganzi 2 – 0 and Losira 2 – 1. Taeja’s final challenge before facing Alicia in the final was to put a stop to First’s success in the losers’ bracket; he dropped down after a loss at the hands of SortOf, but then won every single game that followed. The Korean Protoss’ victims in the LB were Snute, Top, Ganzi, Alive and Losira in that order. Needless to say, Taeja’s trademark, drop-heavy play style ensured victory on both Shakura’s Plateau and Metropolis. 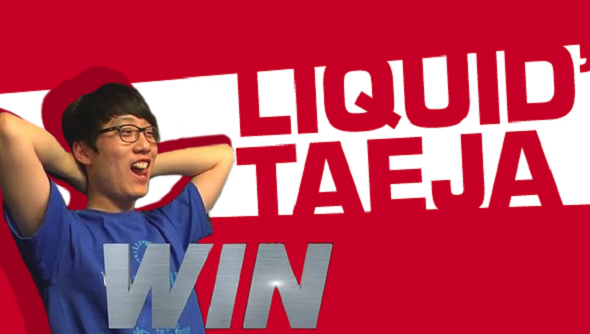 The same style of play dominated the final, Taeja won the series 4-2. It’s doubly frustrating for Alicia: he found himself in a similar situation against Stephano less than two weeks ago at the North American Star League. Rising star Stephano’s play seems to have shifted gears; at the recent North American Star League, it was he who dominated the competition to take the gold, again leaving Alicia trailing in second place. However, at the MLG Summer Arena, the former fell into the losers’ bracket after losing 2 – 1 to Korean Protoss, Oz at round four of the first day. Stephano had no difficulty taking games in the losers’ bracket, winning 2 – 1 against both Ryung and Hero. But after Alicia trounced Oz, sending him down to the LB, the Zerg and Protoss were fated to duel once again. resulting in a 4 – 1 win to Oz over Stephano – jettisoning him from the tournament. The competition is being re-broadcast right now, *here* and MLG say that the VoDs will be available on Tuesday.